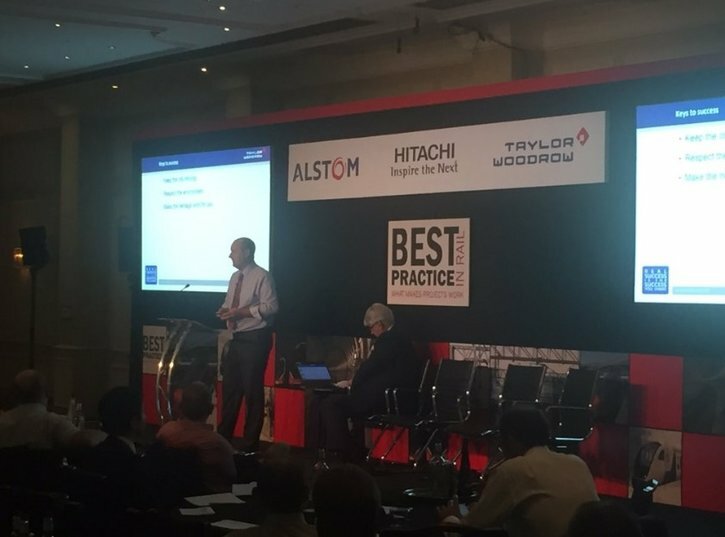 Taylor Woodrow’s Fred Garner recently took centre stage at an event showcasing best practice from across the rail industry. The day was a mixture of presentations and Q&A sessions on each of the topics, along with time to network and visit exhibition stands, one of which was managed by members of the Taylor Woodrow team and showcased our TfL and rail projects. Fred’s presentation was well-received and focussed on what makes a successful London infrastructure project. He then welcomed Geoff Hobbs, Director for Transport Planning at TfL, to the stage to continue the discussion and talk about the scale of the challenge to keep London moving, and what TfL have done already along with future plans to keep up with demand.